Pension funds are designed to provide workers with a continued source of income once they retire. Depending on the type of pension fund you're enrolled in, you'll have the option of receiving monthly annuity payments or a lump sum distribution. If you opt for the lump sum, you may be required to adhere to certain rules set forth by your employer. The Internal Revenue Service also has specific guidelines regarding the taxation of lump sum pension distributions. The Employee Retirement Income Security Act of 1974, or ERISA, governs how pension plan benefits can be paid out. Employers are required to offer a monthly annuity option for employees enrolled in a defined benefit plan, but lump sum distributions are optional. It's up to individual employers to determine whether to offer a lump sum and under what circumstances. There are a number of factors that may be used to determine eligibility, including your age, how long you've worked for your employer, your salary level, disability status and the type of plan in which you're enrolled. Generally, the amount of money you receive through a lump sum distribution is meant to be equal to the amount you would get if you opted for a monthly annuity. Employers calculate your payout based on the amount of money vested in your account, your life expectancy and a specific interest rate. Historically, lump sum distributions were based on the rate of return for 30-year Treasury bonds. In 2012, a new rule took effect allowing employers to calculate interest based on a mix of corporate bonds. These bonds feature a higher interest rate, which could mean a smaller payout amount if you take the lump sum. If you take a lump sum distribution from your pension prior to age 59 1/2, the IRS may assess a 10 percent early withdrawal penalty unless you roll the money over into an individual retirement account. If you're older than 59 1/2 when you take the lump sum, the distribution will be treated as income and are subject to ordinary income tax. Pension plan benefits are fully taxable if you didn't make direct contributions to the plan and partially taxable if you contributed after-tax dollars. 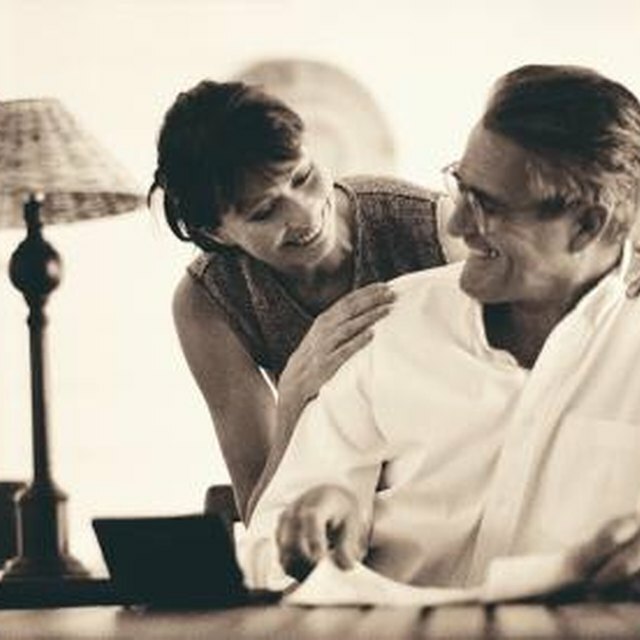 As of 2013, the IRS allows individuals who were born before January 2, 1936 to use optional methods of calculating their tax liability on lump sum distributions. Receiving a large cash payout all at once can be enticing, but it may mean you'll have less to live on in retirement, especially if you have to pay hefty taxes or a penalty on the money. Even if the lump sum is an option, your benefits may not be guaranteed if your employer opts to terminate the company pension plan. Under federal law, the Pension Benefit Guaranty Corporation guarantees benefit payments only for individuals enrolled in defined benefit plans. If you're enrolled in a plan that allows you to make contributions, you may be able to get your payout if your pension is frozen or terminated.